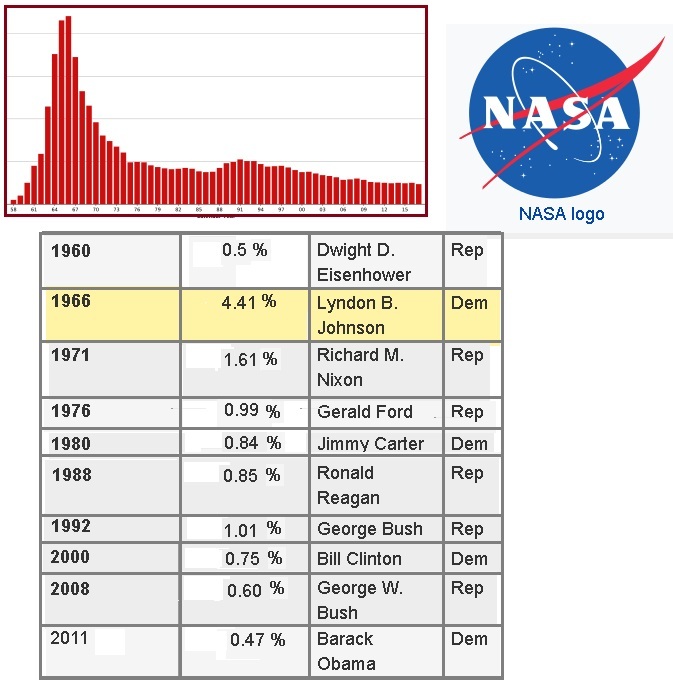 For decades, since the days of peak of funding under Lyndon B Johnson in the late 1960’s, NASA has suffered budget cuts. The Apollo 13 disaster on April 13, 1970 ended the manned trips to the Moon, though the Apollo program wound down through Apollo 17 with lunar landers. Nostalgia for these days, America being the first to land on the Moon, continue to this day. But per the Zetas, it was the obvious evidence of alien activity on the Moon that killed the program. The public was not to be aware of the alien presence. As Barack Obama's latest budget cuts NASA funding and derails plans for a return to the Moon, we look back at how US space priorities have changed. Its mission to return astronauts to the moon would be grounded as part of a stringent 2011 budget. The space agency would get an additional $5.9 billion over five years to encourage private companies to build, launch and operate their own spacecraft for the benefit of NASA and others. NASA would pay the private companies to carry US astronauts. 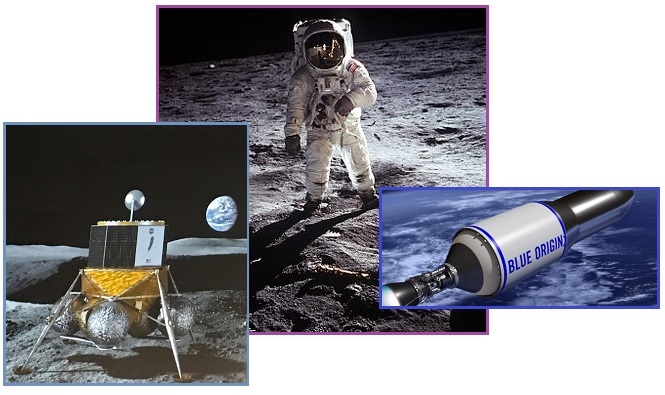 The Apollo program, also known as Project Apollo, was the third United States human spaceflight program carried out by the National Aeronautics and Space Administration. Apollo ran from 1961 to 1972, with the first manned flight in 1968. Apollo 13 landing was prevented by an oxygen tank explosion in transit to the Moon, which damaged the CSM's propulsion and life support. The crew returned to Earth safely by using the Lunar Module as a "lifeboat" for these functions. ZetaTalk Comment 5/15/1996: Thus, though the Apollo space program had been enthusiastically started, it soon fell into disfavor. It is no secret that the US space program fell apart, and is today a sham of its former self. To abort the enthusiastic Moon missions, which were often being watched live by the public, the CIA threw a wrench in the works. Apollo 13 was a distressed mission due solely to sabotage, and this sabotage was rewarded. The Moon missions were stopped. 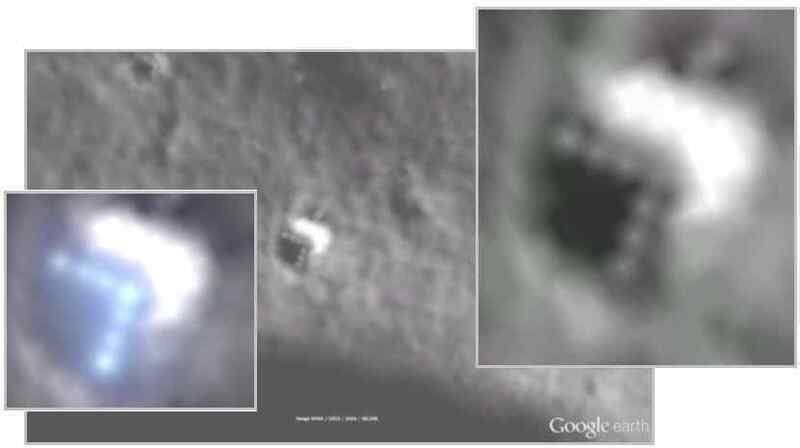 There has indeed been abundant evidence of alien life on the Moon in photos delivered by the China orbiter and as demonstrated by Google Moon when a perfect triangle from a cashed space ship on the Moon could be seen. By 2016 the race to the Moon was back on. What had changed? Disclosure, admitting the alien presence, was being promoted now, not squelched. And this has extended to support for NASA endeavors in 2017. ZetaTalk Confirmation 4/15/1996: The world watched in rapt attention during the first Apollo Moon landing - a first for mankind. The comments made by the astonished astronauts, who noted signs that they were not the first visitors to the Moon, have generated all manner of speculation. What did they see? From the Earth, the surface of the Moon looks placid, unwashed by water and without an atmosphere, nothing moves on the pock marked surface. Up close, however, one would discover dust covered litter and tracks left by vehicles, unmistakable signs that mankind was not the first. Machinery parts, collapsed structures, tie lines, and even a wheel or two here and there, covered by space dust that never washes away, these items look no different from Earth than the dust covered rocks and craters. ZetaTalk Confirmation 1/26/2014: Objects on the Moon have been discovered in the past, the China orbiter showing the remains of dome cites in 2012, for instance. 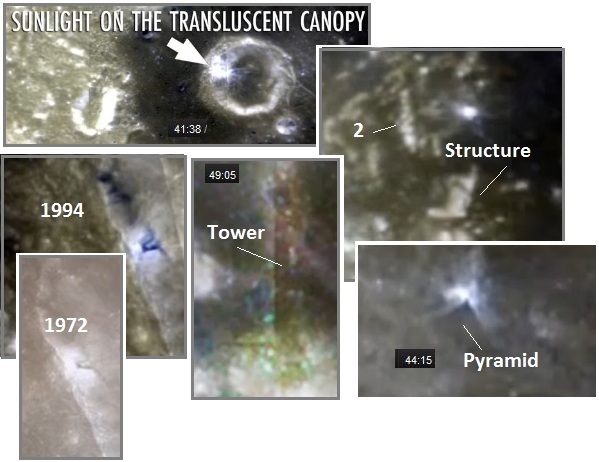 Evidence of this past alien activity on the Moon is so obvious that NASA filmed Moon landing shots in theaters on Earth, to substitute for live shots from the Moon as the astonished astronauts kept muttering off script. Hidden in the details, requiring a high definition image not previously provided by Google Moon, lies an intriguing wedge clearly not a natural object. In perfect geometry, 7 raised dots are laid out along the leading two sides of this wedge. The wedge appears to have plowed into the surface of the Moon, pushing the soil up in front of the wedge and leaving a raised ridge behind the wedge as well, as though there had been an accident. This is precisely what occurred, in the past, when the Moon was home to a number of alien visitors. Suddenly NASA is being given new life, an increased mission to “search for life” in the Universe - disclosure, expedited. 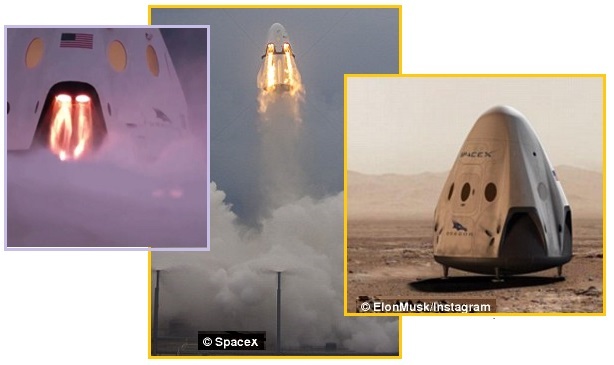 And NASA seems to be snugging closer to partners such as Space X and Blue Origins who have both expressed a desire to get to Mars and the Moon. Rather than compete, they will be collaborating. And the Pentagon seems to be jumping on board, proposing that the Air Force split off its space functions into a new Space Corps. Per the Zetas, this is posturing, more of Trump’s “Make America Great Again” agenda. Mankind will not control its destiny in space, will not establish colonies on Mars or the Moon, and the elite are destined to suffer the Pole Shift on the surface of the hapless Earth along with the common man. Even attempts to clean up space debris, an otherwise worthy endeavor, will prove fruitless as during the Pole Shift the lashing tail of Nibiru will rip the satellites from the skies. The Russian space agency is going ahead with a plan to spend $2 billion to clean up space debris. Scientists at the Japan Aerospace Exploration Agency (JAXA) are experimenting with a tether to pull junk out of orbit around Earth, clearing up tonnes of space clutter including cast-off equipment from old satellites and pieces of rocket. Researchers are using a so-called electrodynamic tether made from thin wires of stainless steel and aluminium. ZetaTalk Comment 7/31/2017: A new focus on space has emerged from both a US Air Force reorganization and NASA mission statements. The US Air Force is splitting off its space functions into a new Space Corps, to take effect in 2019. Congress added the “search for life” to NASA’s mission statement when approving the 2017 budget. NASA is increasingly partnering with Musk’s Space X and may partner with Bezos’ Blue Origin in their desire to go to the Moon and Mars. 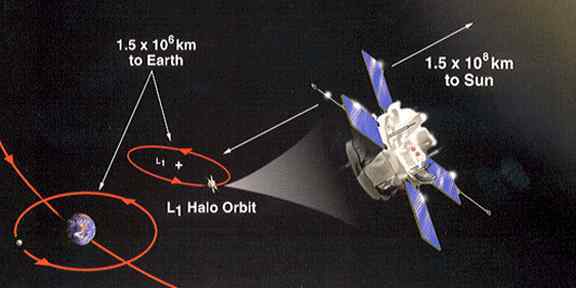 Then there is the press to clean up the space junk circling Earth, already in operation, and to find an effective means of deflecting asteroids heading toward Earth. This of course relates to the creeping disclosure over the alien presence on Earth. But the agenda also includes boosting US prestige which has suffered due to budget cuts over the past few years. The US hopes to be seen as a leader, or at least in partnership with the leaders. This is also an exercise in futility. We have stressed that the elite will not be allowed to ride out the Pole Shift on Mars or the Moon, and the Council of Worlds has enforced that decree. The elite will likewise not be allowed to maintain satellites that spy on desperate migrants, nor track their routes. Earth, and the space around her, will suffer the Pole Shift in her near future, and there is naught that mankind can do to stop this. They can be compassionate to one another, a life lesson that is the point of their 3rd density existence, but any attempt to retain their kingship over one another will fail. During the Pole Shift, and well before hand, the Earth will be lashed by the debris ridden tail of Nibiru, tearing the satellites out of the sky and hammering hail and boulders upon the hapless Earth. Thus all maneuvers to get to Mars or the Moon are fantasies of the elite. And all maneuvers by the US to posture are to “make America great again”, and nothing more. Peru consistently delivers. Skulls and partial skeletons have been discovered there, clearly alien, but now an intact mummy has been discovered. This 2017 discovery is clearly alien, though DNA tests have not been as yet released. Per the Zetas, the mummy is almost entirely alien, but does possess about 5% human DNA due to cross breeding in the past. The feet have 3 long toes, the hands 3 long fingers, with more joints than human hand possess. The skull has large eye sockets but no external ears. 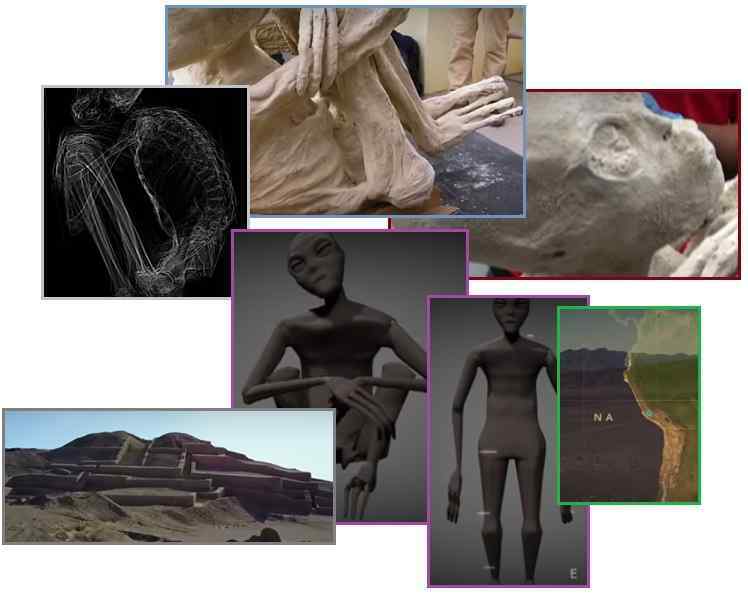 According to a recent GAIA special report, the mummified remains of a strange humanoid or alien body have been found in Nazca, Peru. UFO researcher Jaime Massan originally reached out to GAIA with the discovery, who then hired a team of researchers and scientists to examine the body. Although the verdict is still out about whether or not the body is alien, samples have been taken and more should be revealed soon. So far, the scientists working with GAIA do not believe the body to be human, due to its highly perturbed skull, three long fingers, and absence of ears. Another odd aspect about the body is that none of its organs had been removed, a practice typical with human mummification. ZetaTalk Opinion 6/24/2017: This intact mummy, found in the dry caves of Peru, is genuine and almost 100% alien in its DNA. Affection developed in the past between the visitors and humans, so an occasional hybrid survived to pass along some human DNA. But the obvious characteristics of an alien body – 3 long fingers, long arms, long toes, lack of external ears, and large eyes – are definitive. Such discoveries, on the increase over the past few years, are the result of a guided search, where contactees are guided to the location. The Awakening to the alien presence is being expedited. The skulls found in Cuszco, Peru in 2011 were likewise alien, deemed to have eyes too large, canine teeth too large, and skull separations unlike human skulls. 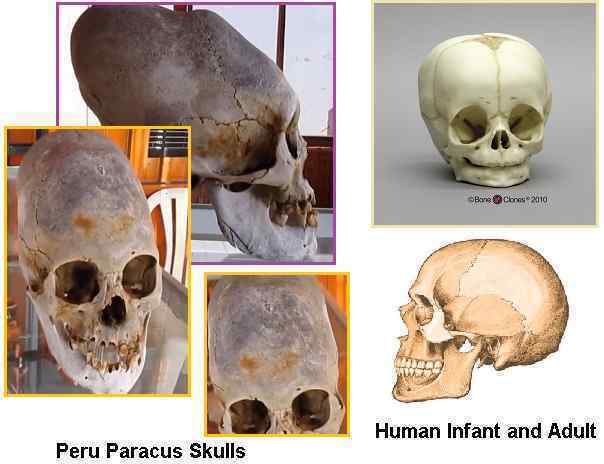 The skulls of Paracas, Peru discovered in 2014 were likewise clearly alien. ZetaTalk Comment 11/19/2011: This is a legitimate alien skull and skeleton. The dissimilarities to human skulls are not only the elongated skull, but the crack down the center of the forehead, which is nonexistent in human skulls. The size of the canine teeth is likewise disproportionately large compared to the space allocated to all others. At greater than 4 feet in height, this was not a deformed child, nor do the deformities fit those common in humans. There is a reason legends inspiring stories such Indiana Jones and the Crystal Skull exist. These were hominoid visitors to South and Central America, revered, and thus if a body was inadvertently left behind, carefully buried. ZetaTalk Comment 8/2/2014: This is another example of the remains of alien visitors being discovered in Peru. Not all of these skulls are identical, as just with the races of man, there were many sub-races of this alien culture. We, the Zetas, likewise have over 100 worlds in Zeta Reticula where transplanted Zetas evolved, so there are differences among the Zetas too. They were almost exclusively Service-to-Other, on a mission to learn mankind’s cultures so as to influence mankind more effectively in the future. A single power outage in a location can be overlooked, but when they pile up in multiples, without explanation, one must suspect EMP. This has been documented in the Pole Shift ning blog dedicated to EMP denial. 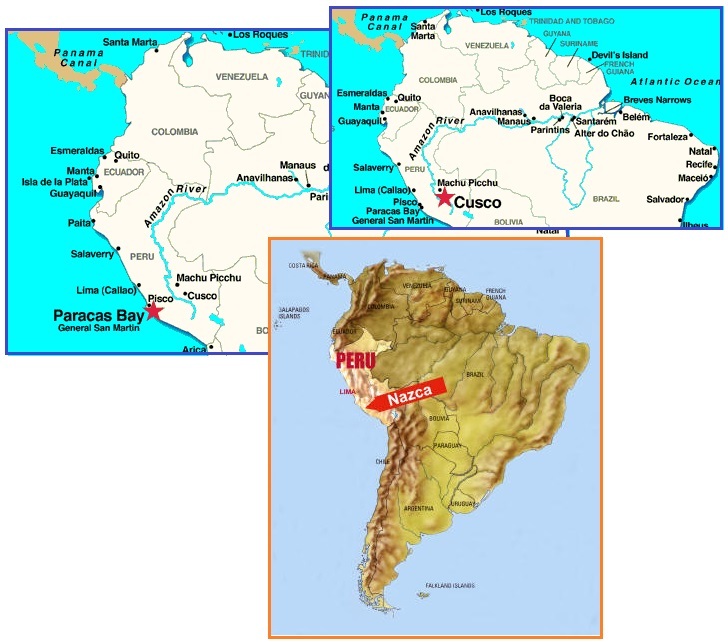 This past week almost simultaneous power outages occurred in Central America. 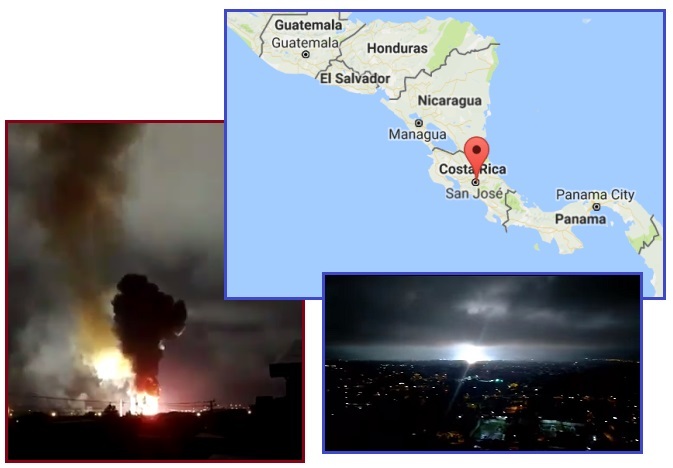 First Costa Rica had an unexplained explosion in a substation that lit up the night sky. Then a Panamanian power line going down due to a surge, again unexplained. These both bear the signature of an EMP surge. Large sections of San José were left without power after what appeared to be massive explosions at an electric substation lit up the skies over El Porvenir de Desamparados, just south of the capital. The cause of the fire at the station has not been determined. Only ten homes suffered damage for the explosions, most of them in their electrical systems. A huge power outage plunged millions of people across Central America into darkness Saturday, as authorities from Panama to Costa Rica to El Salvador scrambled to restore electrical service. The blackout affected some five million people in Costa Rica alone, where officials largely had managed to restore service after a nationwide power outage lasting about five hours. Authorities pinned blame for the power outages on a downed Panamanian transmission line that adversely affected the power supply for much of the region. During the same time frame, in late June, the UK had signature EMP in several places, again almost simultaneously. 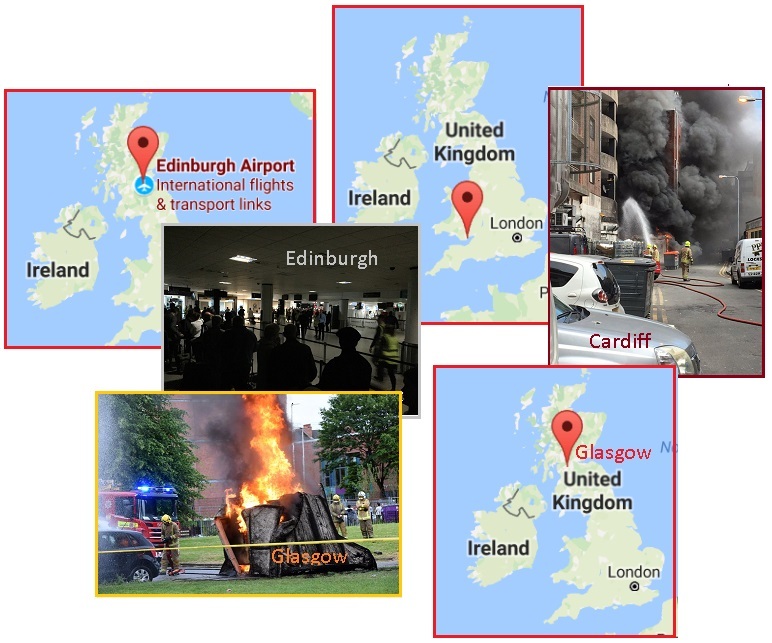 Edinburgh, Scotland airport caused by an unexplained “catastrophic failure” only two days after Glasgow, Scotland has an unexplained electrical fire and Cardiff City Center in western Britain likewise had an unexplained electrical fire. Again, the signature EMP surge pattern. This signature was evident in the DC power outage in May, 2015 and the Manchester UK fires in March, 2017 and the simultaneous Coast to Coast blackouts in the USA in New York City and San Francisco in April, 2017. Thousands of disgruntled travelers were plunged into darkness after a “catastrophic” power failure of the back-up supply at Scotland’s busiest airport. A spokesman said that the airport had lost power due to a power outage on its high voltage supply, which knocked out the main supply to the terminal. We are currently working to understand the full cause of the issue and why the redundancy didn’t function as designed. Emergency services rushed to the scene to extinguish the flames coming from an electricity distribution box which has caused a widespread power-cut. A huge fire has broken out in Cardiff city centre as firefighters battle flames at an electrical sub station.